Do you wish that your loft, garage, home or even office was free from the rubbish and junk that’s accumulated over the years? Can you not find the time to get the work done yourself? Are you looking for a professional rubbish clearance HA1 postcode district? 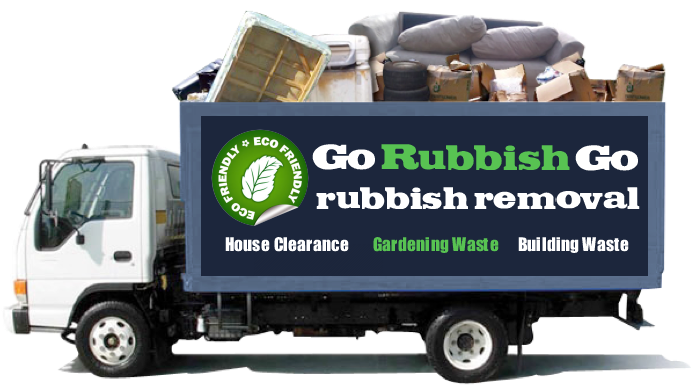 Go Rubbish Go can help you with all of your clearance troubles and worries with our extensive range of top-quality services. From garden waste clearance to white goods recycling, there’s nothing that our Harrow waste collection company won’t be able to do for you to help you to get a more spacious home! We offer our rubbish disposal HA1 services to all properties in Harrow, HA2, and with our trained specialists and dedication to customer satisfaction, you’re sure to avoid disappointment if you choose our company. You can enjoy having more space in your life without having to handle the dirty work, and with our low prices you can afford to hire us even if you’re on a budget. If you want to find out more information about our team and about what we can do for you, simply call us today on 020 8610 9182! Call Us Now for Reliable Property Clearance in Harrow! 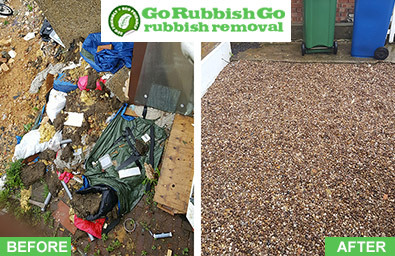 Go Rubbish Go has the years of experience, the range of services and the competitive prices that you need for your rubbish removal in Harrow, HA1. We specialise in lots of different clearing services which will ensure that your waste is disposed of properly and ethically. Not only will we collect and dispose of your waste and rubbish in the greenest ways possible, but we’ll also do it for a price you’ll love! We keep our rates cheap to ensure that our customers are getting the best value for money, and if you call us today you can find out just how much you can save with one of our free price quotes! Hiring them to help me get rid of the clutter at my HA1 office was the best decision ever! 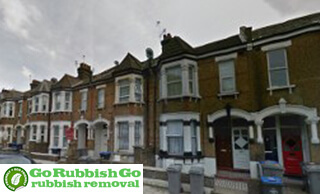 Their waste disposal service for Harrow is not only fast and thorough, but very cost-effective too. Would book their services again, should the need arise. We’re The Only Rubbish Clearance Company in HA1 for Your Needs! Get in Touch With Us Now! Hiring our company is a decision that you won’t regret, whether you need waste removal in Harrow or assistance with your basement junk clearance. Our fast, efficient and reliable services are idea for your property in the HA2 district, and with our guaranteed services you’ll be more than impressed with the difference that we can make in your life! We offer great discounts for a limited only. Save yourself time, money and enjoy having the space that you deserve by contacting our teams to get the work done for you. 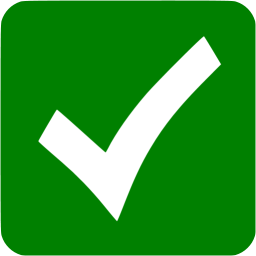 Call our waste clearance HA1 company now on 020 8610 9182! Get your discount now! Need More Free Space at Home? Hire Our Waste Collection Company in HA1! If you’ve come to the realisation that you need a rubbish removal service, get in touch with us to take over the job and get you on your way to a clutter-free home. As a professional Harrow, HA1 waste clearance company in London, we’ll take care of your rubbish quickly and efficiently, leaving you to make use of your newly found space. 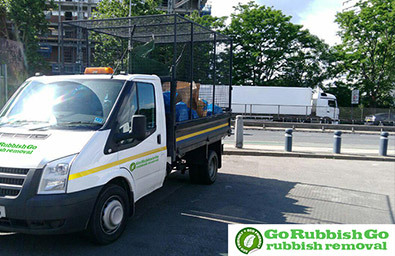 So give us a try and call us on 020 8610 9182 and we can assure you that you’ll be calling us again in the future to make use of our rubbish collection services. They are affordable and efficient and you will be amazed with the speed and professionalism of our staff. Book now and see for yourself! Harrow is found in northwest London and is located around ten miles from Charing Cross. Its neighbouring areas are Wealdstone, Belmont, Kenton, and Northwick Park. Harrow itself is served by the Harrow-on-the-Hill London Underground Station which makes commuting and travelling throughout the area fast and reliable. Many bus services can also be found here, and are one of the most popular ways for commuters to travel. There are many places of interest to be seen in Harrow, including the Usurp Art Gallery and Studios, an artist-led gallery first established in 2010. There are many open green spaces in and around Harrow, including the Bentley Priory, which stretches over 165 acres. Canons Park is also a place of interest, as this is a park that dates back to the 1800s and contains many beautiful sights that attract lots of visitors every single year.